Denim under $100 should bring a smile to your face. Providing ease on the eyes as well as the wallet is a perfect combination. Find top denim pieces that won't completely exhaust your savings (if you have been saving for a rainy day properly). Shop for trendy jeans and denim shirts with out breaking the bank. 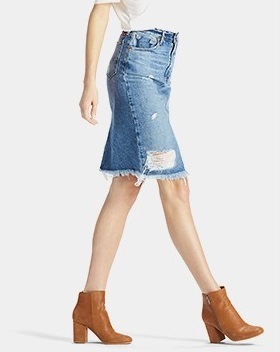 The above pictured denim is currently available at Lucky Brand for under $100. Visit their site to search for denim under $100 (at least as of today). Here are a few other places that you can hunt around for jeans under $100. 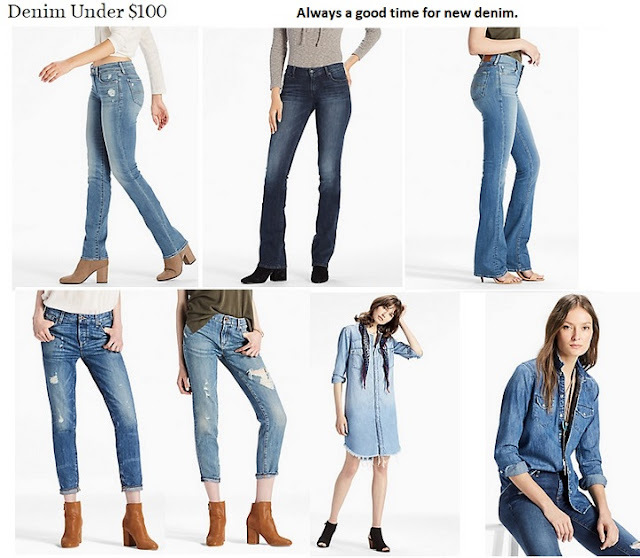 I am not 100% certain, but I think you would have a hard time finding jeans under $100. at stores like Barneys. However, it can't hurt to check. Learn more about designer denim jeans in our fashion influence section. If you are willing to pay one hundred dollars for ripped jeans, you may also want to learn more about the history of ripped jeans in our fashion terminology section. What are your thoughts on button fly jeans? Do you prefer a zipper?